Often compared for its scenic beauty to the Grand Canyon, the Simien Mountains National Park is one of the major highlands of Africa. Its peaks include Ras Dejen, which at 4620m is the highest peak in Ethiopia and the fourth highest in Africa. 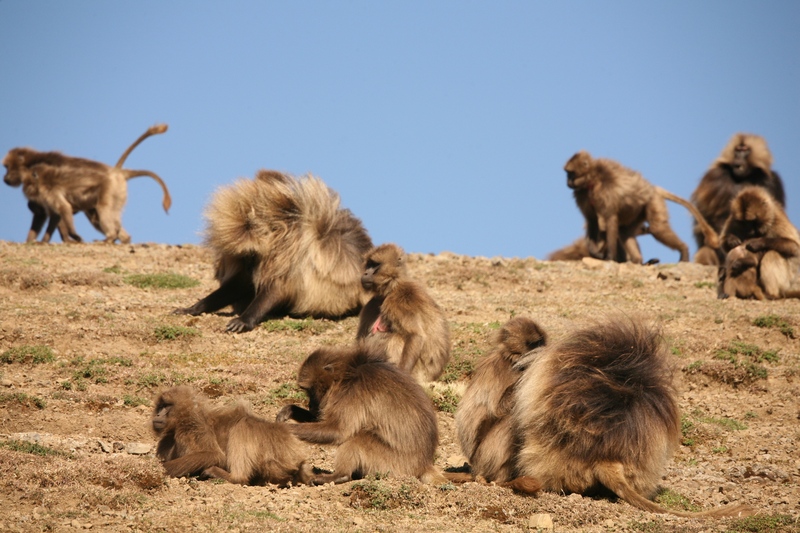 The Park is a World Heritage Site, and is rich with wildlife totally unique to the region, including the scarlet-chested Gelada Baboon, the Alia Ibex and the Simien Fox. The mountains are also home to diverse plant-life and over fifty species of bird. Exploration of the mountains is often conducted by horse or mule.